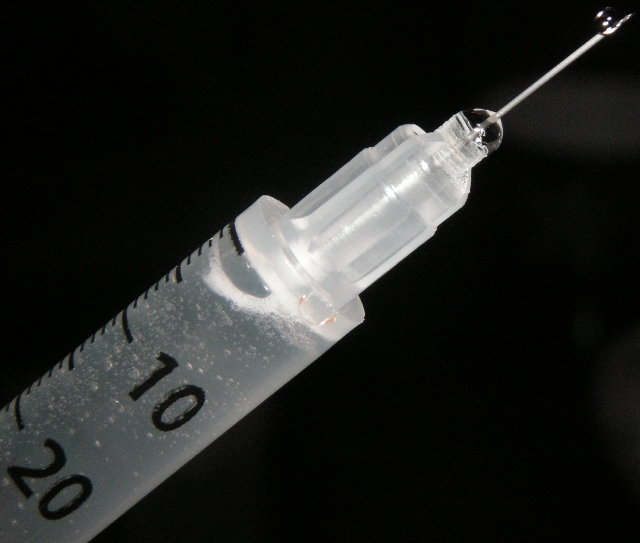 Local anesthetic use in sport for early return to play – should we be offering these jabs? The use of local anesthetics in sports injury management is a bit of dark art – often practised, but not so often talked about. Certainly, there is a paucity of medical literature on the subject, with perhaps more articles in the lay press. Statistics on the use of local anesthetics in different sports are not widely available, but it is likely that they are most widely used in the contact sports including the football codes (American football, soccer, and rugby league and union). When they are used, the aim is usually to eliminate or diminish pain caused by an injury which may be acute or chronic, or another condition such as an ingrowing toenail, significantly enough in order for a player to return to play. – Are they safe for players in the short and long term? – Are we currently using them in an ethically-sound manner? The World Anti-doping Agency currently places no restrictions on the use of local anesthetics in sport, although there is a debate about whether the elimination of pain constitutes a performance enhancing intervention. Most governing bodies leave the decision as to whether use local anesthetics to the team physician and patient. The NCAA, for example, mentions that ‘use is medically justified only when permitting the athlete to continue the competition without potential risk to his or her health.’ (see section 31.2.3.4.1 of NCAA drug policies). The assessment of potential risk to health from using local anesthetics in order to assist a player to return to play is a difficult one. To a large extent, the risk depends upon the nature of the injury. Most of us would, I suspect, be reluctant to administer a local anesthetic to a player with an acute grade 1 medial collateral ligament injury of the knee in order for them to attempt to play, but may be less concerned about blocking a toe with an undisplaced phalangeal fracture. Orchard and colleagues reviewed a case series of 268 injuries over a 6 year period in which local anesthetic was administered to allow an early return to play. In this series, around 10% of players competing did so with the assistance of a local anesthetic. The most common injuries for which local anesthetics were administered were rib injuries, iliac crest hematomas, acromioclavicular joint injuries, and finger and thumb injuries. A total of 6 ‘major’ complications were noted, including two cases of distal clavicle osteolysis (questionable as to whether this was a true complication), a partial tendoachilles rupture, an adductor longus tendinopathy (again, causality is questionable), prepatellar infected bursitis and a scapholunate ligament tear, with 11 ‘minor’ complications. Orchard and colleagues went on to publish a retrospective survey of 100 players over ten seasons who had been injected with local anesthetic on 1023 occasions for 307 injuries. There was an average of 5 years’ follow-up. They found that 98% of players stated they would have had the procedure in the same circumstances again, although nearly a third felt that there were side effects associated with the use of the local anesthetic. 22% of players thought that the anesthetic had delayed their recovery and 6% thought that their injury was worsened due to playing on with a local anesthetic block. They conceded that ‘a few injuries may have been made substantially worse by playing after an injection,’ and also mentioned that there was ‘still insufficient evidence to completely determine the safety of local anesthetic injections in the majority of potential circumstances,’ calling for further studies to assess long-term safety. There is good evidence that local anesthetic injections are both chondrotoxic and myotoxic when administered during both in vitro and in vivo studies. Given that the long-term safety of local anesthetic injections is unknown, can we safely recommend and administer these to our patients in order to allow them an early return to play? Perhaps even more important are the ethical and safeguarding issues surrounding the use of local anesthetics in sports injury. What happens if a player chooses not to have an injection following an injury when it is common practice amongst the team for other players to have this intervention in order that they may be able to play with a similar injury? Will they be discriminated against by the team manager or other players, or be subject to coercion? Should there be an independent assessment of the appropriateness of using these injections prior to administration? Do we need a review and a consensus opinion from WADA or individual governing bodies ? 2 Responses to Local anesthetic use in sport for early return to play – should we be offering these jabs? Great article. Remembering the principles of ethics in sports medicine. 1. Always make patient health your priority 2. Do no harm 3. Offer full informed choice and allow full autonomy without impinging your or other staffs view on patient. This to me says you have to judge each patient case on its own merits. Sports medicine by its very nature pushing the boundaries but I believe one should always strive to uphold the above principles. What may be reasonable in view of one clinician and consent of the athlete may be entirely unacceptable to others. In summary when using LA in sport I would offer full informed consent to patient and if I felt was not increasing risk of injury to unacceptable level then proceed. This would be almost certainly a one off rather than a routine practice on same athlete noting the adverse effects of LAs as described above.